Based on reliable news received by Justice For Iran, during the past few weeks a series of arrests have taken place in the Arab residing areas of southern Iranian cities of Shoush, Hamidiyeh and Ahvaz. So far, over 60 individuals have been detained by security forces and charged with writing slogans on walls in supports of boycotting the upcoming parliamentary elections, changing their faith and entering into the Sunni creed. * The report affirm that two of the individuals arrested died in prison due to the severity of their tortures. The family of Naser Alboshokeh Dorafshan, arrested on January 26, 2012, was informed of his death four days later. He was kept at an undisclosed detention center in Ahvaz. On February 2, 2012, Mohammad Ka’abi was killed under torture in Shush. In March 2011, Reza Maghamesi was killed in Dezful prison. Naturally, murder of three dissident youth in prison are not mere accidents. More so since the body of Mohammad Ka’abi was not handed over to his family and instead was buried in secret. Hence, all the security, judicial and law enforcement forces who played a role in the arrest, imprisonment and torture of these individuals are responsible for the murders and must answer for it. Unfortunately the news so far lack the necessary information to pursue the actors and agents of these crimes; the individual or organization who ordered the arrest of these individuals is unknown, as well as the location of their detention and the security and judicial authority and jurisdiction under which they were murdered. Whether these murders took place for tribal or ethnic reasons or any other, one of the ways in which they can be dealt with and further crimes can be prevented is exposing of the names, position and identifying information about the actors and agents of the crimes. As Justice For Iran has stated time and time again, this is not a matter to be postponed for a future endeavor; it has meanings and benefits today. Exposing documents and evidences regarding individuals who hide their true identity and crimes behind pseudonyms will bring shame to them in the face of their family and the society who will be well informed of their actions. It will drastically reduce the possibility of recurrence of the same crime. Furthermore, it will pave the way for legal pursuit of of the responsible authorities, particularly on the international arena. 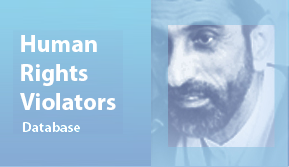 Justice For Iran calls on all those who may have information about the judicial, security and intelligence officials responsible for widespread and severe violation of the rights of dissidents to share their information in hopes of identifying violators of human rights in Khuzistan and, by doing so, refuse to allow such acts to continue in secret. While condemning the murders and tortures and expressing our sympathy with the families of the victims, Justice For Iran would like to, once again, call on all individuals who themselves of their loved ones were victims of human rights violation to share their testimony, informations and documents regarding such violations, particularly in the arab residing areas, no matter how insignificant they may be, in order to contribute to Justice For Iran’s human rights violators data bank. 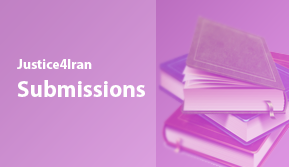 After careful review and authentication of all the information provided by Justice For Iran, we will make them available to the public.